The power banks has an Apple MFi certified charging module for the Apple Watch. 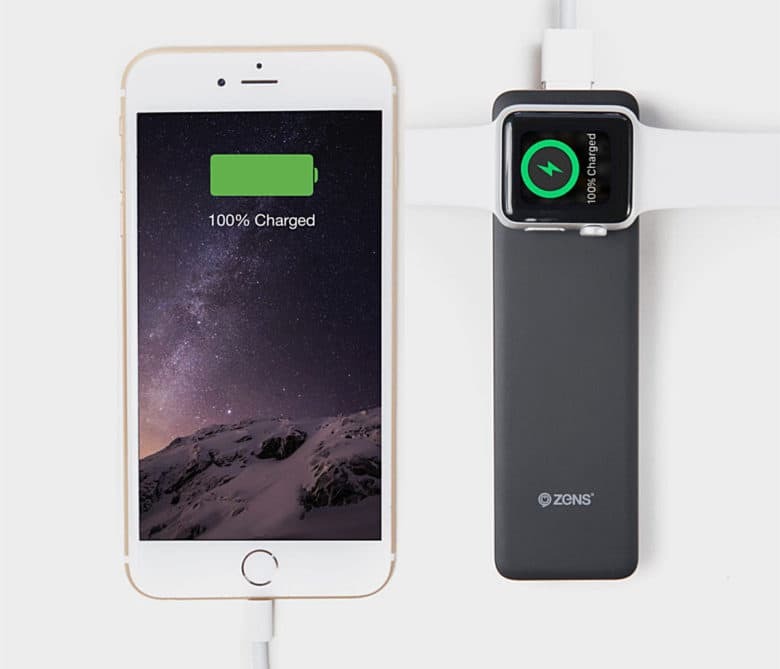 The ZENS Apple iPhone/Watch Power Bank takes up little room in a bag or on a nightstand while housing a 4000 mAh battery. It is designed especially for the Apple Watch (including the Series 2) with a circular charging module atop its sleek housing. The watch wearer can also simultaneously charge an iPhone or iPad with a USB cord. Fast charging comes with 2A output and once spent, the power bank can be charged by plugging it into a MacBook or PC. 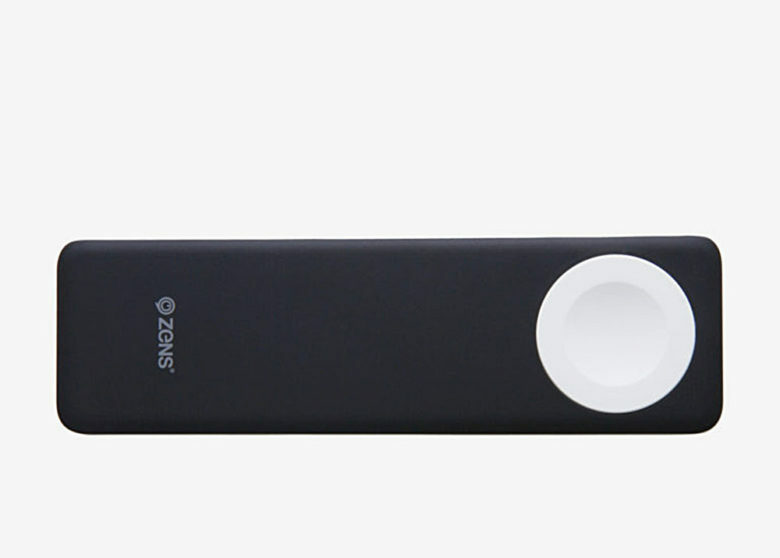 The 2-in-1 Powerbank debuted on the ZENS website Monday and is available for about $78. ZENS is located the Eindhoven Brainport region, which is a kind of a Silicon Valley for The Netherlands. The company’s cube-shaped Apple Watch charger was featured in Cult of Mac’s Best List in August and ZENS makes wireless charging solutions for several companies, even incorporating some of its products in furniture.